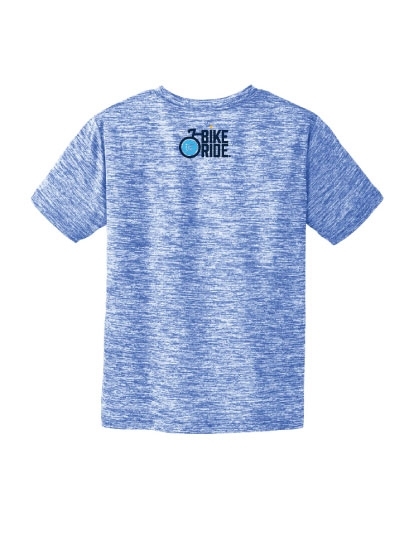 Celebrate your kids' love of cycling with our whimsical new electric heather moisture-wicking, performance tee! 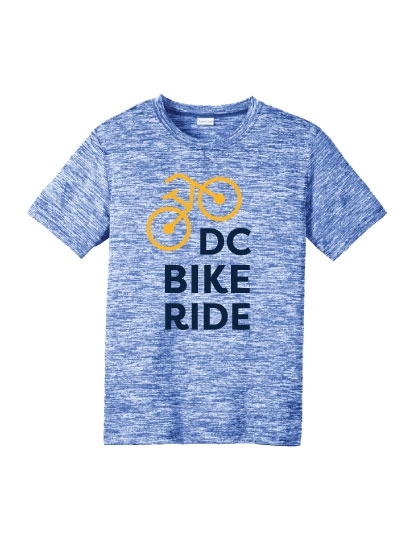 The shirt has a crew neck and features the DCBR logo on the back. 4.1oz, 100% polyester jersey. Runs true to size.